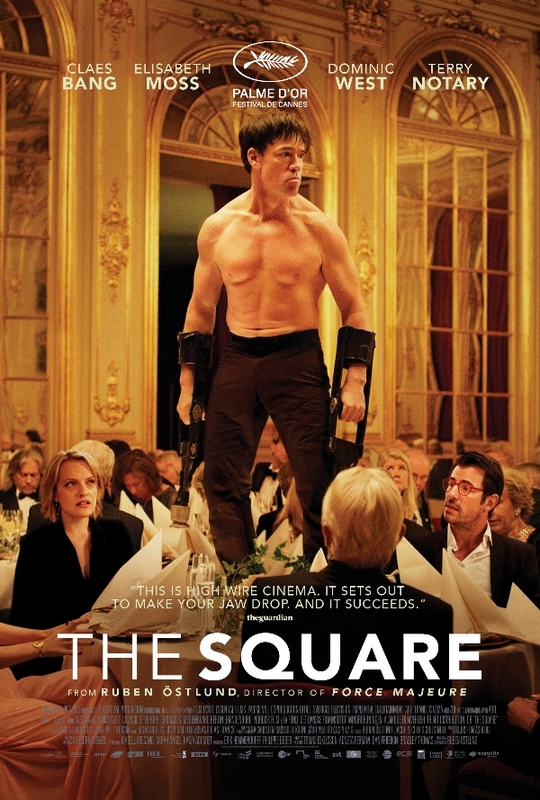 The Square Trailer Is Art Everything - Are You Screening? If there were ever a justified case of picking a winner based solely on the writer/director, without even seeing it (and, fine… there isn’t), it would be Sweden’s entry for Best Foreign Language Film, The Square. From the writer/director of the woefully underappreciated Force Majeure, Ruben Östlund, comes another tale of shoving characters into bizarre, unique, and uncomfortable circumstances. Among other selling points for The Square (such as winning the Palme D’Or at Cannes), Force Majeure was on my Top 10 List of the year, and the trailer already looks like this one gives it a run for its money. The film stars Claes Bang as Christian, a respected curator of a contemporary art museum. He may seem slightly cliched, given the trailer and the synopsis, but part of Östlund’s magic is making rich, real characters, so don’t let that throw you. The film revolves around the events in Christian’s, and the gallery’s, life as a new installation is set to open. Much like Force Majeure, this looks to clearly be a character dissection and everything that highlights masterful writing and direction there is on display here in the trailer alone. The Square also stars Elisabeth Moss, who already seems perfectly cast, Terry Notary and Dominic West. This one opens on October 27th, and you don’t want to let it slip past you. This time around, people aren’t going to let the conversation avoid Sweden. Christian is the respected curator of a contemporary art museum, a divorced but devoted father of two who drives an electric car and supports good causes. His next show is “The Square”, an installation that invites passersby to altruism, reminding them of their role as responsible fellow human beings. But sometimes, it is difficult to live up to your own ideals: Christian’s foolish response to the theft of his phone drags him into shameful situations. Meanwhile, the museum’s PR agency has created an unexpected campaign for ”The Square”. The response is overblown and sends Christian, as well as the museum, into an existential crisis.